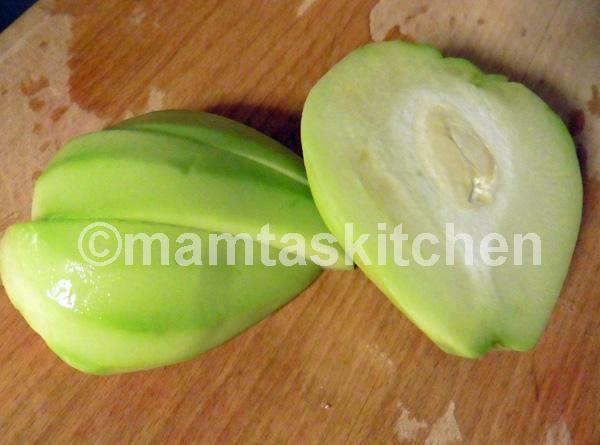 Peel, stone and slice chayote into finger thick slices. 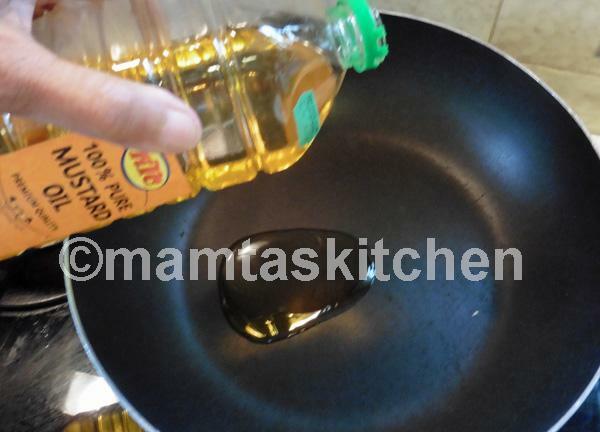 Heat oil in a pan and add fennel seeds. 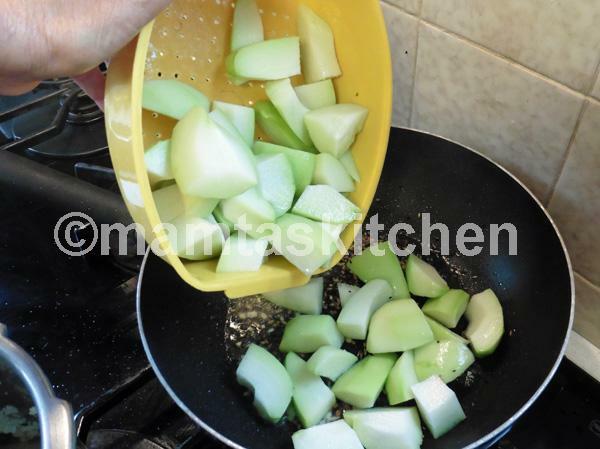 When they begin to change colour, add the broken chilli and stir. 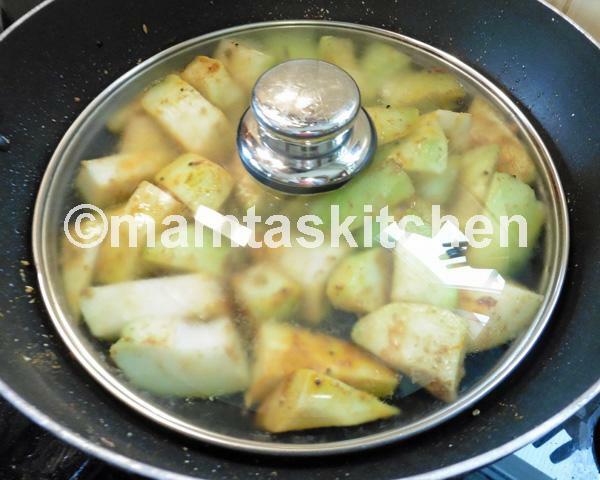 Add garlic and ginger, stir-fry for 10-20 seconds, until you get aroma of frying garlic. 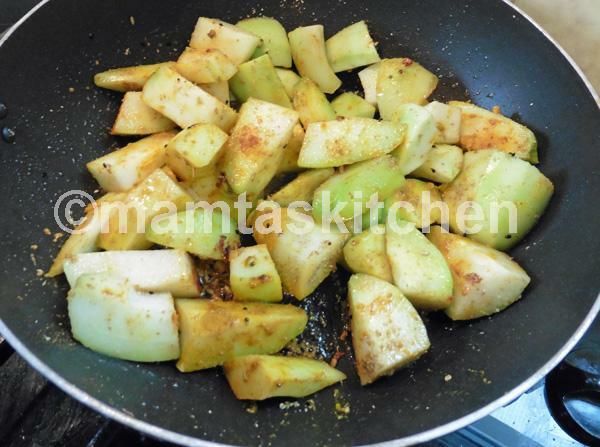 Add sliced chayote, salt, chilli powder and turmeric, stir. 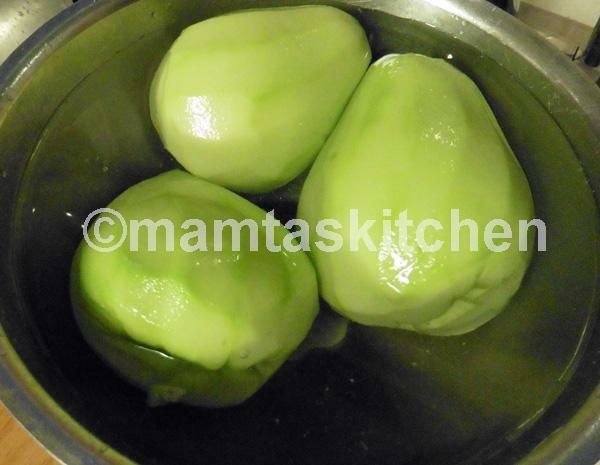 Lower the heat to minimum, cover and cook until tender. Keep stirring gently from time to time. They should be cooked through, but not soggy or mushy. This takes about 15-20 minutes on low heat. 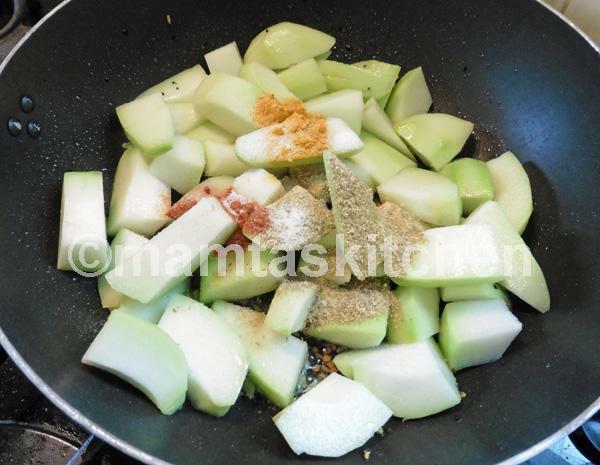 Turn heat up, sprinkle lime juice and cook for a further 2-3 minutes, turning over gently, so that the surfaces looks slightly browned and no liquid is left in the pan. 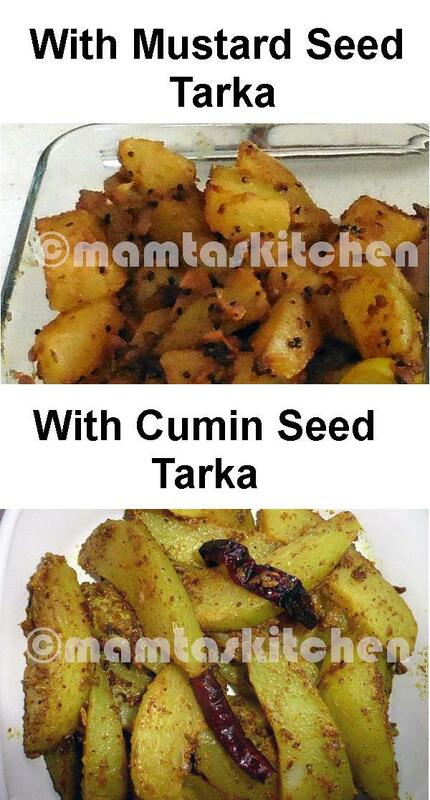 You can garnish with coriander leaves, but this is not essential. 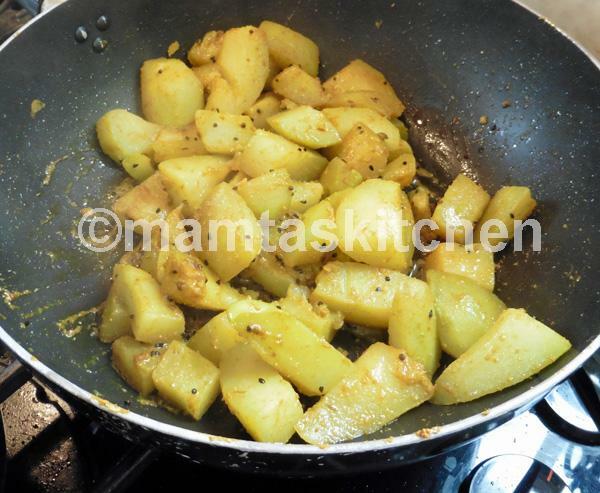 Serve with fresh Parathas or Chapatties. To make it more colourful and spicy, you can add 1 thinly sliced red pepper and/or a couple of broken up Baries to it, as in pictures 4 and 5 and 6. 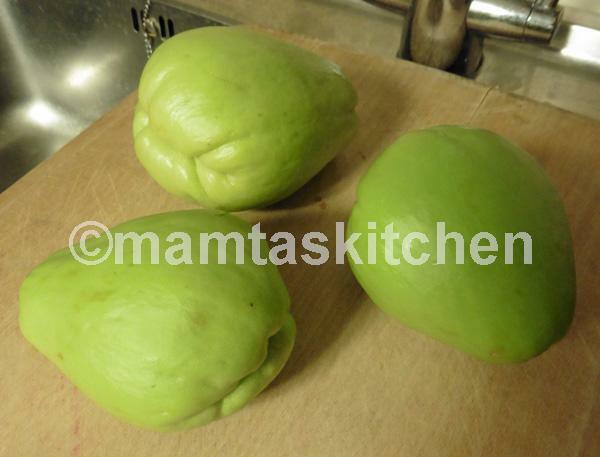 You can add a few shelled peas also.